Giuseppe Santomaso was born in Venice on September 26, 1907. He studied at the Accademia di Belle Arti there from 1932 to 1934. In 1938 he began his work in graphics, a medium that continued to interest him. In 1939 the artist traveled to Paris on the occasion of his first solo exhibition at the Galerie Rive Gauche. Santomaso participated in the Quadriennale of Rome in 1943 and executed illustrations for Paul Eluard’s Grand Air in 1945. In 1946 he was a founding member of the antifascist artists’ organization Nuova Secessione Artistica Italiana—Fronte Nuovo delle Arti in Venice. Since 1948 Santomaso has participated often in the Venice Biennale, where he was awarded the Prize of the Municipality of Venice in 1948 and First Prize for Italian Painting in 1954. He received the Graziano Prize from the Galleria del Naviglio in Milan in 1956 and the Marzotto Prize at the Mostra internazionale di pittura contemporanea in Valdagno in 1958, among other awards. Santomaso taught at the Accademia di Belle Arti in Venice from 1957 to 1975. His first exhibition in the United States was held at the Grace Borgenicht Gallery in New York in 1957. The Stedelijk Museum in Amsterdam gave the artist a solo exhibition in 1960. In 1961 he participated in the São Paulo Bienal and he traveled to Brazil the following year. 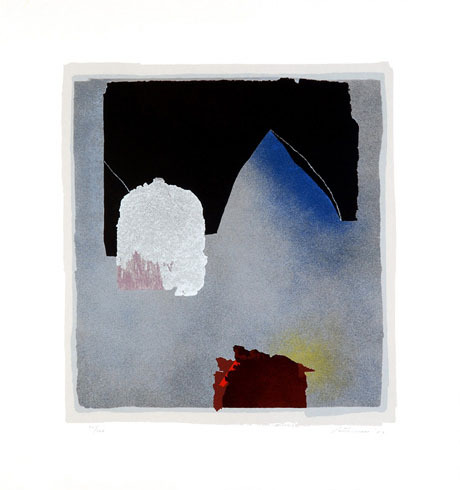 A Santomaso retrospective toured from the Kunstverein in Hamburg to the Haus am Lützowplatz in Berlin and the Museum am Ostwall in Dortmund in 1965–66. He contributed lithographs to On Angle, a book of Ezra Pound’s poetry published in 1971. His work appeared in the International Engraving Biennial in Cracow in 1972 and 1978. Solo exhibitions of his work were presented in 1979 by the Fondacio Joan Miró in Barcelona and the Staatsgalerie Moderner Kunst in Munich. The Borgenicht Gallery organized a Santomaso show for the spring of 1983. 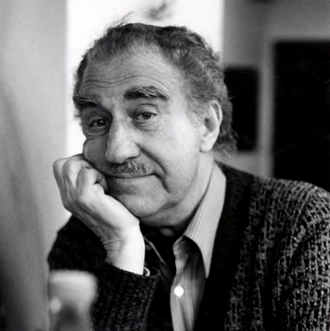 Santomaso died on May 23, 1990, in Venice.